From 10 to 12 August there will be a festival of music and technology Alfa Future People. Effective Records presents a playlist of thirty tracks from the headliners of this high-profile event. Listen to the collection Alfa Future People 2018 in high quality, absolutely free. You can listen to the whole collection, or separately song by song. 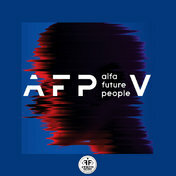 In addition to Alfa Future People 2018 of the collection, you can find any other one by following the link and get information with the already collected collections and collections of tracks, songs and music.